When shopping for a mortgage loan, many applicants search for the lowest interest rates but do not take the time to search for the overall lowest mortgage costs. Since there are so many additional fees associated with a new mortgage, potential borrowers can save quite a bit of money by doing some comparison shopping. Getting the lowest interest rate is indeed important, but when it comes to the out-of-pocket expenses associated with a mortgage loan there are ways to find the lowest mortgage costs. Closing costs, origination fees, application fees, and other expenses vary dramatically from lender to lender, so checking with several different lenders is a smart move. 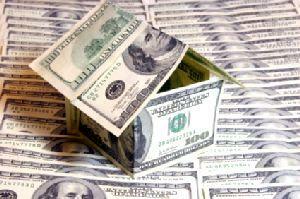 Some states charge certain fees and taxes when a new home is purchased. Unfortunately, there is usually no way to negotiate these prices down because the fees are set by the state or county. In some states certain people, such as disabled veterans, are exempt from various fees and taxes. Borrowers should ask the mortgage loan consultant about what groups are exempt from these fees and taxes to see if they qualify. It is completely acceptable for a buyer to ask the seller to pay closing costs, although the seller is under no obligation to agree to this arrangement. Sometimes sellers will agree to pay the closing costs but only after refusing to discount the sale price of the home any further. There is no harm in asking, however, and asking may result in a stipulation in the loan that the buyer is not responsible for closing costs. This arrangement can save hundreds - or thousands - of dollars for the buyer. Title company fees for conducting the closing are not carved in stone. Each title company sets their own rates. Unless the mortgage lender has a preferred title company which they suggest borrowers use, getting the lowest mortgage costs can be accomplished by calling various title companies and finding out their rates. Some may have a flat fee for closing, while others slide their fee scale depending upon each individual closing. When buying a home, it is advisable to obtain a thorough home inspection prior to going to closing. The cost of a home inspection varies depending on the location and the inspector. This is another instance where shopping around for the best price can save the buyer quite a bit of money. Do not accept an inspection conducted by an inspector commissioned by the seller out of an interest in saving more money. You want to make sure that you receive an unbiased inspection on the home before you sign the final papers. A day or two prior to going to closing on a mortgage loan, borrowers may want to try calling their lender and ask to speak to the loan processor assigned to their file. The loan processor will have a copy of the paperwork sent to the closing company and can go over all the closing costs line by line with the borrower. This way, there are no surprises when the borrower comes to the closing table. If the loan processor seems annoyed by the inquiry, ignore the sighs and groans and continue on with the request; loan processors are busy professionals but that shouldn't stop you from getting the information you need.